This one sounds silly but I was in halls of residence in my first year like most new students, you might be in a flat of between 4-10 people but how are you ever going to meet them if you’re sat in your room with your door shut? I would recommend propping your bedroom door open with a door stop whilst you are in for the first week or so, that way people can pop their head in and say hello and introduce themselves without the nerves of actually having to knock on doors hoping people are in. I did this in first year and it was a good way to get to know people, even if it just means having a cuppa together. Now obviously you know you need plates, bowls and cutlery for your kitchen and you can get them pretty cheap. However because they are cheap they are often plain and unpatterned, WARNING: These will be stolen. 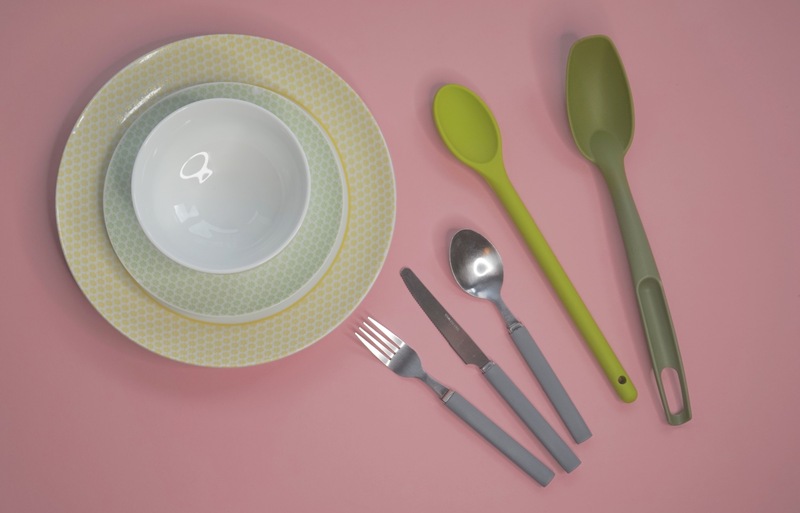 Get yourself something with a distinctive colour or pattern so that you can easily spot your dishes when your flatmate decides to re-home them into their cupboard, or worse, their bedroom. I got my plates and bowls from Asda in a floral pattern for around £16 for a 12 piece set and my Cutlery from BnM with grey handles, the same can be said for utensils, mine are lime green so easy to spot. In halls your bills are usually included so putting the heating on isn’t the end of the world but I still found my first year room quite chilly. Not only is a dressing gown the perfect hangover cure, it also means you can run outside to let your friends in when its cold without freezing to death. The slipper, dressing gown combo really comes into play in second year though. Most students will move into a rented house for their remaining Uni years, did you know central heating costs a fortune? Trust me, you need a dressing gown, the fluffier the better, throw a Hot Water Bottle into the mix? Sorted. If you’ve got room in the car I would highly recommend heading off to Uni with a few back ups of Washing Up Liquid, Hand Soap, Washing Powder/ Gel etc. It may sound silly but these items can be expensive and trust me halfway through the year when your loan has run out you ain’t gonna want to be spending your last fiver on Persil Washing liquid. It may add to the expensive before you leave home but it’s worth it as the year goes on. If you can afford the money and the space, it it’s also a good idea to have a back up shower gel, shampoo and conditioner on hand too. You aren’t meant to burn candles in halls (FYI you can so get away with it-just hide them for inspections) so Fairy Lights are a good alternative to make your room look cosy, you can pick them up from Ikea and Primark and all you need are the batteries. My Mum sent me packed off to Uni with a medicine box stuffed full of Lemsip, Paracetamol, Plasters- the works. 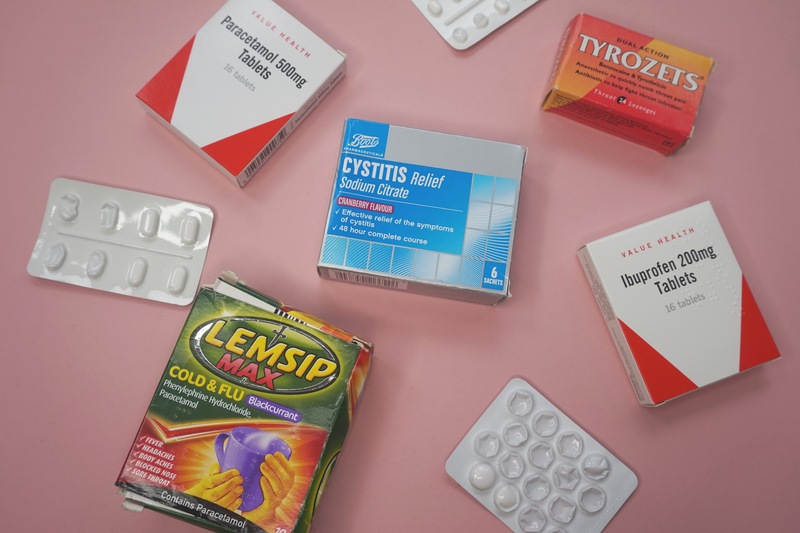 As sad as it sounds I have kept it fully stocked ever since and it has served me well, nobody wants to head outside to go buy Cold and Flu tablets when you feel like you want to curl up into a ball and sleep for 10 years. Whoever designs the electrics in halls is an idiot, the plug sockets are usually hidden behind a chest of drawers or down the side of your bed and there are never enough, take a lead to allow you to plug in your Printer, Xbox and other devices. Taking both of these is ideal one for each season, if you are in Uni for hours at a time you will obviously want a drink, you may be tempted to buy bottled water or takeaway coffees. Firstly this is bad for the environment so don’t do it, but secondly it is actually very expensive, you’re better off investing in a good flask at the start of the year and taking your own drink from home, you’ll save money and you won’t have to queue. Speaking of which, a years supply of Yorkshire tea won’t go amiss whilst you’re packing. 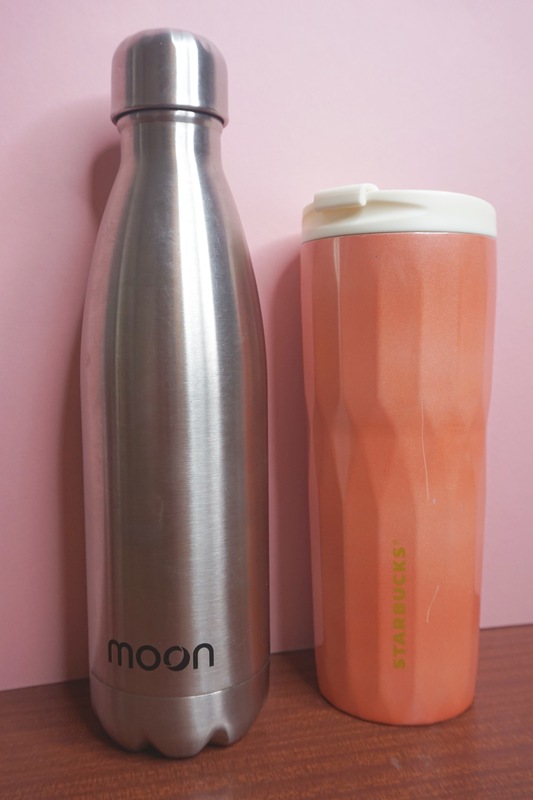 I have a Moon Water Bottle which acts as a bottle or flask and also a Starbucks Flask which keeps my drinks boiling hot for hours (wait until it’s properly Autumn to get a better choice of designs/ colours). I have also put together The University Packing Checklist that you can download and print to fill out here! Although above I have mentioned a few key essentials people tend to forget, this list includes everything I can think of to see you through Uni Life and stop the moving in day panic! Let me know if you thought this was useful in the comments below, as always, thanks for reading! This is so useful! Wish I had this before I started uni last year! Thankyou! Yeah I wrote it because I wish I had had it when I moved to uni 2 years ago! Such a great list – amen to that doorstop!! A post I can highly relate to! And so helpful, when I started uni last year I had no idea. I especially did not think about the cutlery and plates! I feel like there’s so many things nobody tells you before you move and you arrive and think oh god why did I/didn’t I buy that???? Thankyou! Yeah they really make a room feel cosy and lived in don’t they!